At Factual, we’re constantly analyzing and learning from data — ours and others — to better serve our partners. Audience buying is a hot topic in digital advertising right now, so we partnered with Digiday to collect data on how brands and agencies are using audience targeting in mobile advertising. Our survey results acknowledged what we’ve believed for some time now — it’s time to stop talking about “the year of mobile” and instead acknowledge that we’re living in a mobile era. More and more consumers are adapting to a mobile first and a mobile only lifestyle. If brands and advertisers want to connect with consumers, mobile needs to be apart of that mix versus an afterthought. Our survey respondents agreed with 91% of agencies considering mobile to be important or critically important. Leveraging location data for mobile audience targeting showed big value among our survey respondents, with 69 percent saying they use more of it in their campaigns than they did last year, and 82 percent expect to use even more next year. And location data is only due to get more crucial; Twenty percent of respondents can be considered super users, using location in almost all of their mobile campaigns. Because mobile devices are so personal and on-hand at all times, this makes them attributable to single users in a way that PCs or laptops never were. 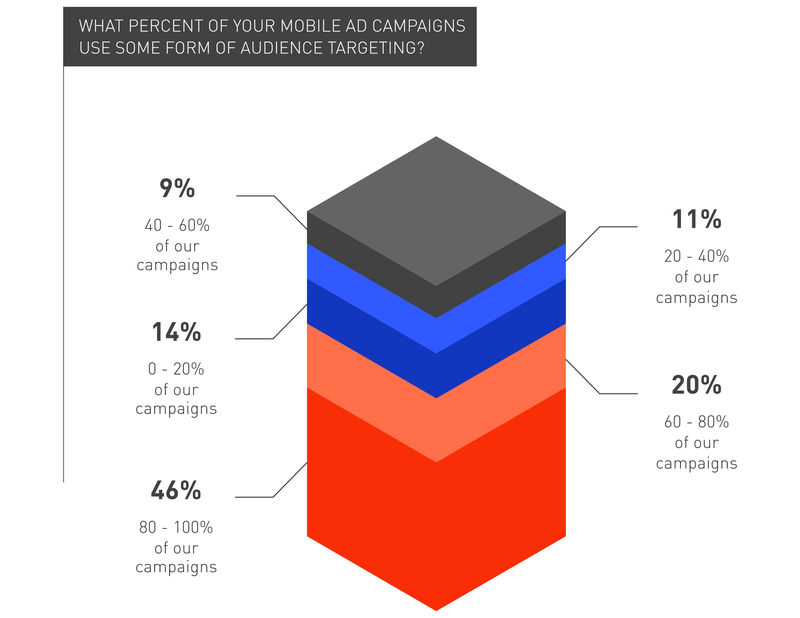 Using audience data in mobile campaigns is clearly a no-brainer and 66 percent of respondents agree by using audience data in all or most of their mobile campaigns. The insight is simple: Not using audience data to target the right people on mobile is a missed opportunity. Factual is relentlessly focused on creating quality products to help our partners reach their customers. Geopulse Audience powered by Observation Graph is designed to help advertisers create highly custom segments without requiring a data scientist. And transparency is a core value as we make all of our Global Places data, which covers over 95 million places in 50 countries, searchable on our site and we expose our targeting data through self-service UIs. To download the full free report with additional insights, click here. To determine how the industry has adjusted to the mobile ecosystem, we surveyed about 150 predominantly US-based brand and agency professionals from October 3-19, 2016 to see how mobile was playing into their overall strategies, what factors led the pack when it came to defining their mobile audiences, and how data was enabling a more precise, nuanced approach. Verticals included Automotive, CPG, Financial Services, QSR, Retail, Technology, and Travel & Hospitality.